Most of us don’t think too much about what goes on in the walls and wires of our home. We just plug in the coffee maker and trust that everything is good to go. But electrical hazards at home are a reality – and we bet you’ve got some of them. An arc fault can happen when there’s accidental contact between wires or connections: the result is a spark or arc. Think of it like an unplanned detour after a road closes: the electrical current goes down an unplanned path. This can happen with really old wire if the insulation has been worn away, or even chewed away by rodents. The arc results in high-intensity heat that can burn materials around it, and suddenly you have an electrical fire in your home. An arc-fault circuit interrupter (AFCI) is designed to protect you against electrical fires by cutting the power to the circuit if there’s an arc fault. It’s more effective than a standard circuit breaker by detecting low-level arcing before it becomes a fire hazard. For safety’s sake we recommend them for all circuits in your home. Remember: If you ever do have an electrical fire, do not use water to put it out. This will feed the fire and increase your risk of electrocution. Electricity will always find its way to the ground. Ground faults occur when the electricity doesn’t use the regular path through your wiring to the ground. Like arc faults, it takes a detour. But unlike arc faults, the detour is most commonly through a person. Ground-fault circuit interrupters (GFCI) reduce your risk of electrocution by monitoring the input and output of electricity in your circuit. If there’s a fluctuation, the GFCI will react and turn off the power. GFCIs are most commonly installed in electrical circuits located near water, where the risk of shock is greater. This includes your kitchen, bathroom and laundry rooms. Even with GFCIs, you should still practice using appliances near water safely. When not in use, wrap up the cords of your appliances and store them a safe distance away. Wiring that’s professionally installed will last a long time. But it needs to be able to operate safely with all your appliances. Incompatible or faulty wiring is one of the leading causes of fires. If your wiring is decades old, you should have it inspected annually. Our certified electricians can make sure it’s compatible with your appliances and recommend upgrades that will keep you safe. There’s something incredibly satisfying about using a fresh light bulb. But you have to make sure it’s the right bulb for your lamp. Everytime you replace a bulb, make sure the wattage is less than or equal to the maximum wattage of the lamp. You’ll find this on a sticker on the fixture. You should also make sure any new lights you add to your home or basement work with your existing electrical system. We all have a lot of stuff that needs to be plugged in – but only so many outlets on our walls. It’s incredibly easy to have our TVs, speakers, computer, and everything else all plugged into one spot. We don’t even think about it. Each outlet has a maximum number of amperes it can handle. 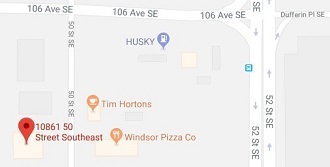 In Alberta, the maximum for general purpose circuits is 15 amps. When you stack – or “piggyback” – multiple plugs on the same outlet, you increase the number of amps being used. This increases your chances of short circuits and fire. A good rule of thumb is one plug per socket in each outlet, and unplug anything you aren’t using. This will also reduce the amount of standby – or “phantom” – power you use, which in turn will reduce your electricity bills. If you use power bars, limit yourself to one or two. They should not be used in the same room, and they should not be plugged into each other (AKA “daisy chained”). Small kids are curious. It’s natural! But it also means that you should invest in covers for your electrical outlets. Otherwise, tiny fingers or objects could find their way into the outlets, resulting in burns, shocks, or even electrocution. You can use plastic covers, or get child-safe wall plates that have covers that automatically snap into place when not in use – very similar to ones found outside to protect outdoor outlets from the weather. An even safer option is to have one of our electricians come change out all of your accessible outlets to “tamper resistant” ones. Tamper resistant outlets are the standard in new homes and will protect your children while an appliance is plugged in. Once you’ve taken care of the outlets, you need to child-proof the rest of your house. Excel Homes has some great tips on baby-proofing your home to protect your little ones. We’ve all been there: one of our cords has become frayed, loosened or corroded. Yet many of us continue to use these cords “just a little longer – until I can get a new one”. This is a huge no-no. When you discover a faulty cord, stop using it immediately. You should also avoid trying to fix it yourself with electrical tape. Extension cords make our lives easier. But did you know that they can be a pretty big electrical hazard at home? In fact, The Electrical Safety Foundation International (ESFI) says that approximately 3,300 home fires start with extension cords every year. Similar to the other cords in your home, using a faulty, frayed or loose extension cord is dangerous. It’s also dangerous to use them for extended periods of time – they can heat up quickly. Extension cords are also designed to handle different power loads – it’s important to match the right extension cord with the right appliance. 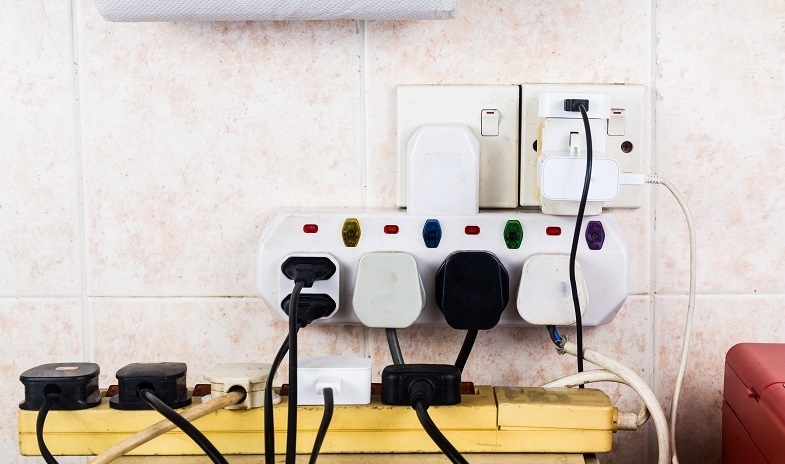 If you find yourself constantly using extension cords to get power in a specific section of your home, talk to us about installing additional outlets. Smoke alarms are your first line of defense against fire. They could save your life – but only if they’re actually working. According to this study, over 66% of residential fires occurred in homes without working smoke alarms. In Alberta, it is recommended that you have both battery-operated and hardwired smoke alarms. For the battery operated alarms, you should change the batteries at least once a year, and test them once a month. If it’s a lithium battery, you will not be able to change it and will have to rely on testing to determine if it’s working. For hardwired alarms, test them once a month. If they aren’t working, call in an electrician to repair them. Alarms should be placed in all sleeping areas, and one per floor for maximum protection. If you do not have a carbon monoxide (CO) detector in your home, you can upgrade your existing alarms to combination smoke/CO detectors. This will alert you when there are hazardous levels of smoke AND carbon monoxide. 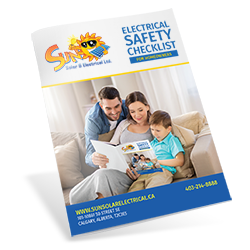 Now that you’re aware of some of the electrical hazards at home, have us come make your home safe and sound. Our experienced electricians can perform a thorough inspection and make on-the-spot recommendations, saving you time and money. The next time you plug in that coffee maker, you’ll have confidence that your home’s electrical system is in tip top shape.